The Most Comprehensive Collection of Luxurious Baby Bedding Online. Babies spend most of the day sleeping or observing the world from their crib or bassinet. The crib is the place where babies sleep, grow and create the first precious memories of childhood. Shouldn’t baby’s world be outfitted with only the best? From simplicity to sophistication, we bring you a dynamic collection of Baby Kids Bargains that our both timeless and comfortable. Quality, value, and fashion are the hallmarks of Baby Kids Bargains commitment to excellence. From solids to stripes, ginghams and dots, we have sheets, bumpers and bed skirts in all shapes and sizes. A mattress protector for an heirloom cradle, a sheet set for your darling’s first bed, pillow cases for the crib, we have all this and more. 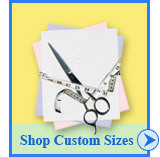 We specialize in hard to find sizes – you specify the size and we will make the bedding for you. When outfitting a crib or first bed, we usually tend to look for color and style. We have sheet sets in every color of the rainbow. And not only every color we have countless shades and hues to please even the most particular mom. Color and style isn’t everything. From the softest sateen cottons to the most luxurious knits, all our collections pass the test for the comfiest baby bedding. We help you make Baby’s world one of downy softness and cozy gentleness. The nursery is a special place and we give you the tools to create a room you can be proud of.